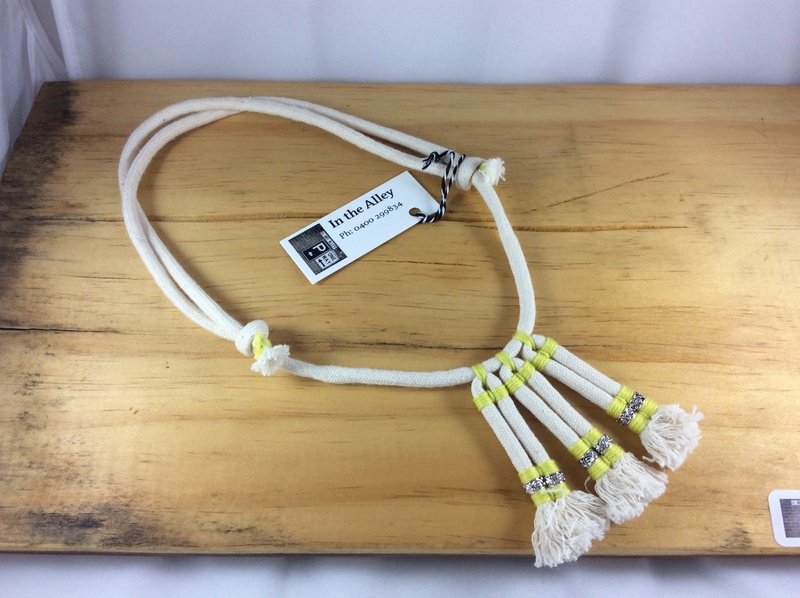 Scroll down to view In The Alley's creations. 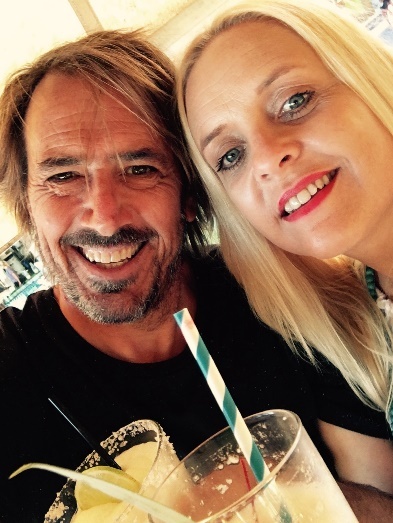 In the Alley is a small home grown South Australian partnership that formed in 2012 when Stew and Malea met. 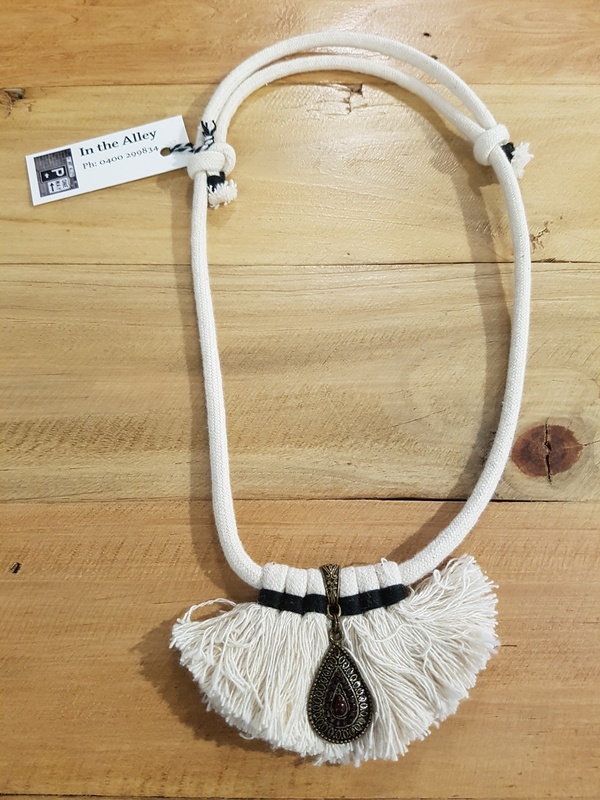 In the Alley aims to upcycle, revamp and renew materials in such a way to create products with a unique look. 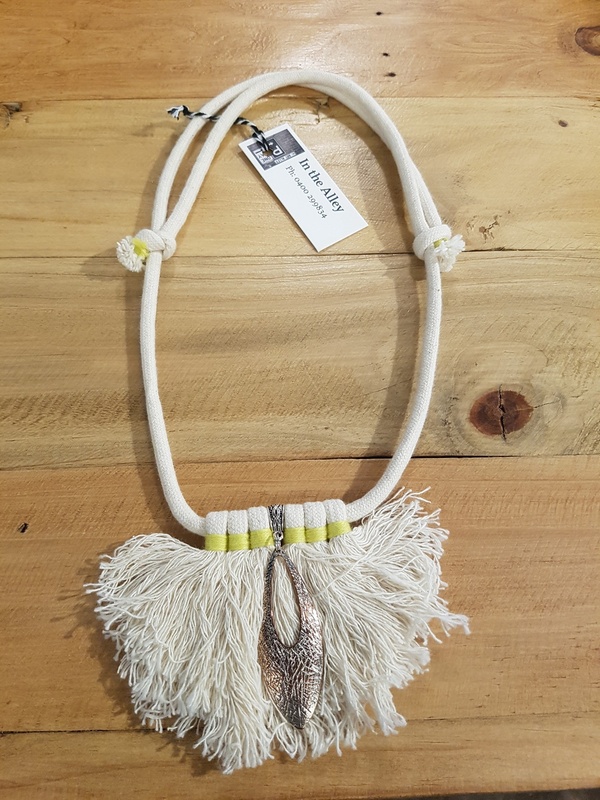 The "Syx Frayed Lines" range of necklaces came from inspiration of the Northern beaches of New South Wales manifesting from the pastel colours of the ocean to the pastures of the Northern Hinterland and the vibrant life around Byron Bay. 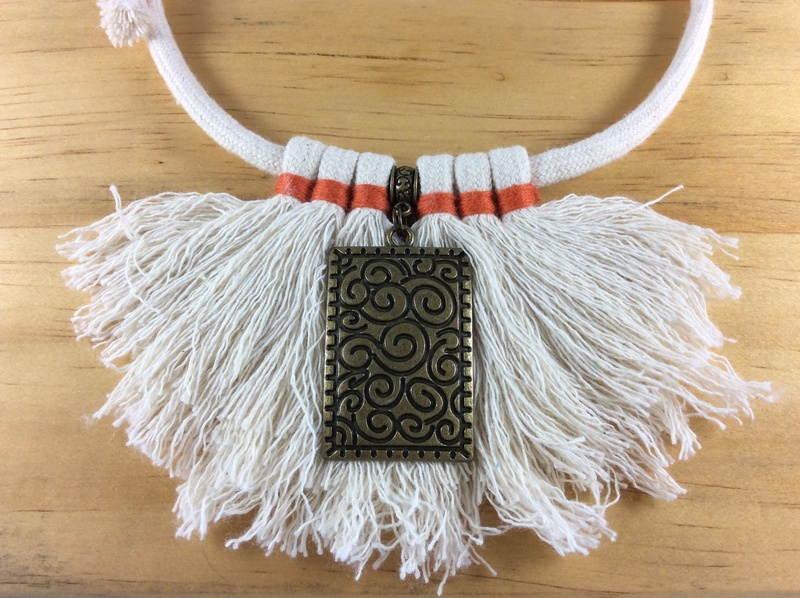 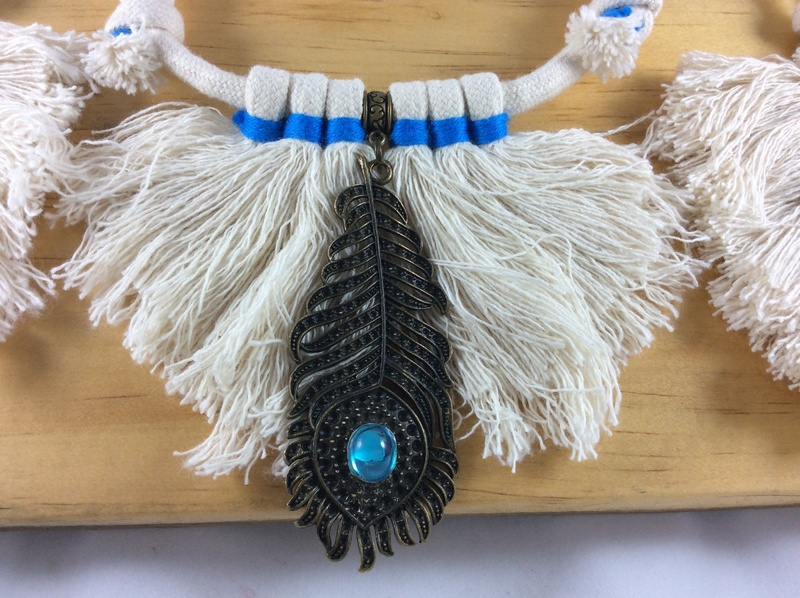 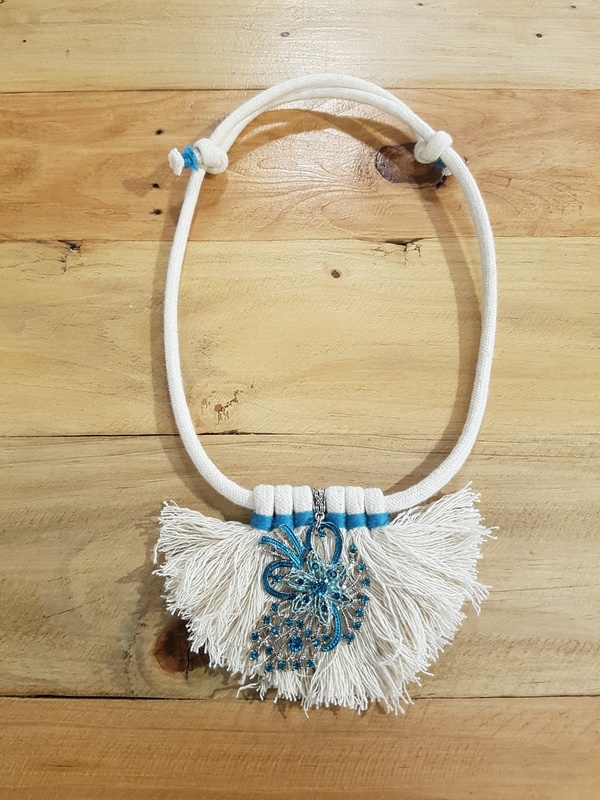 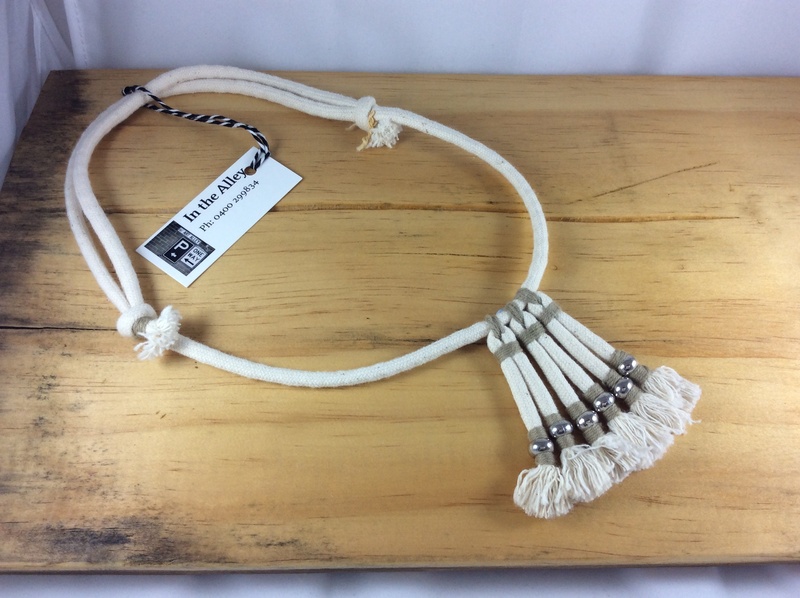 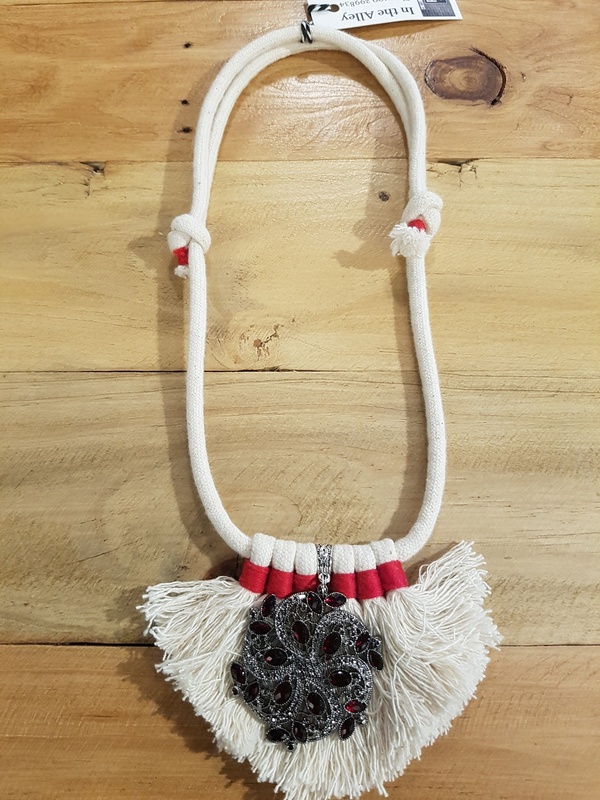 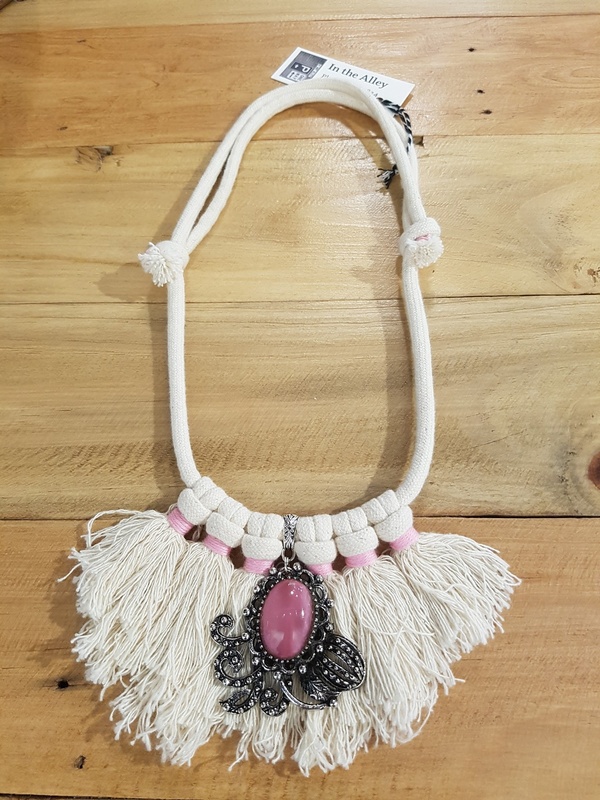 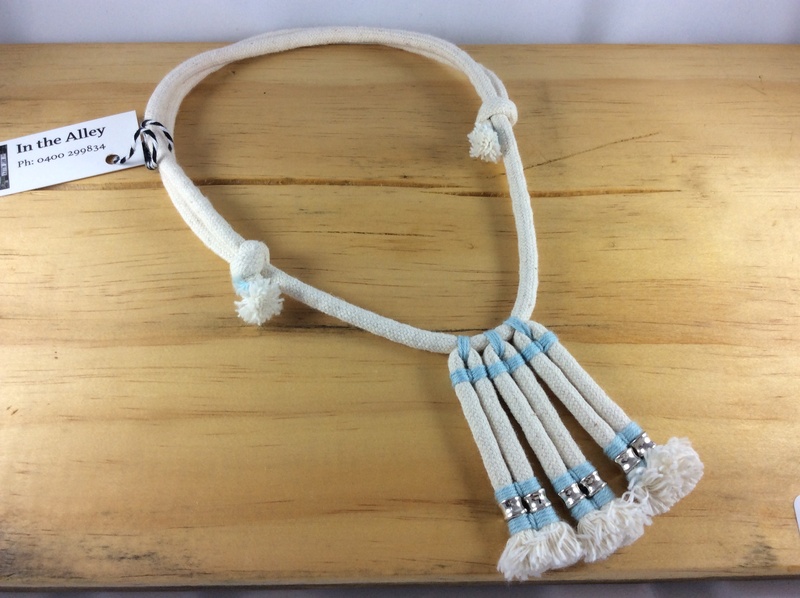 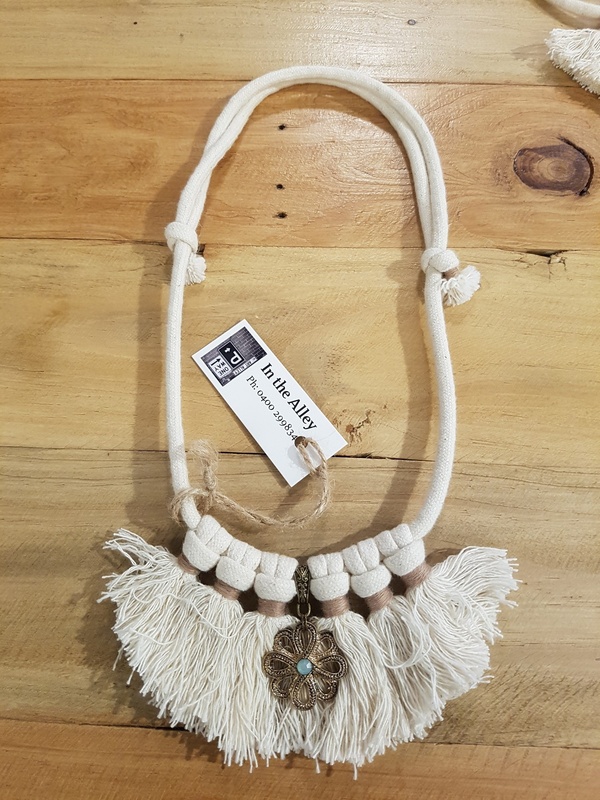 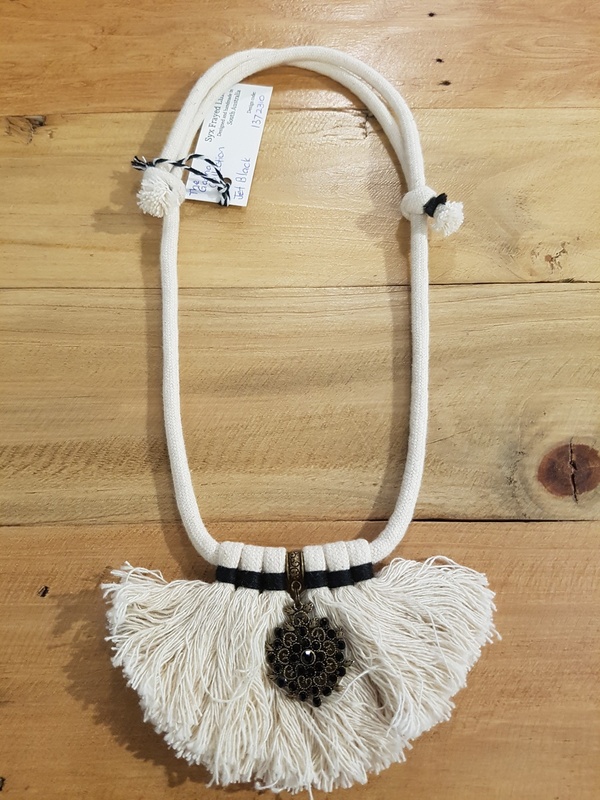 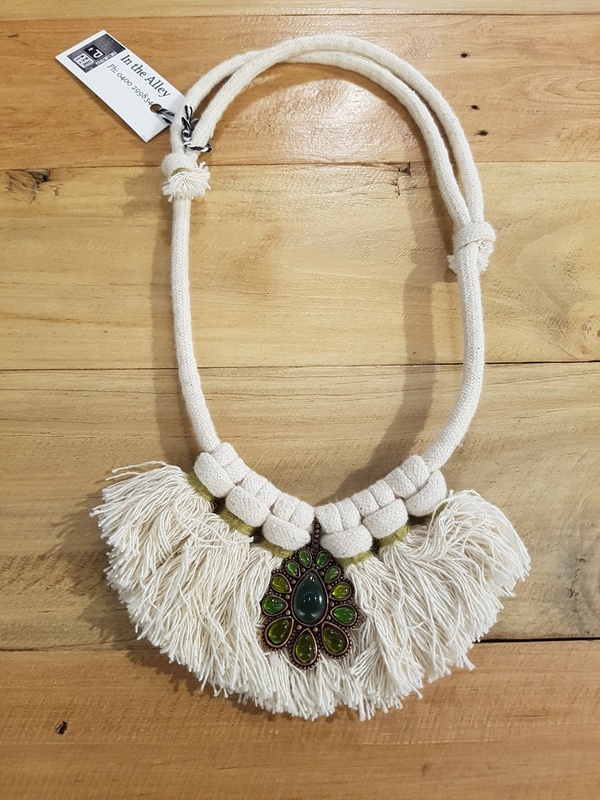 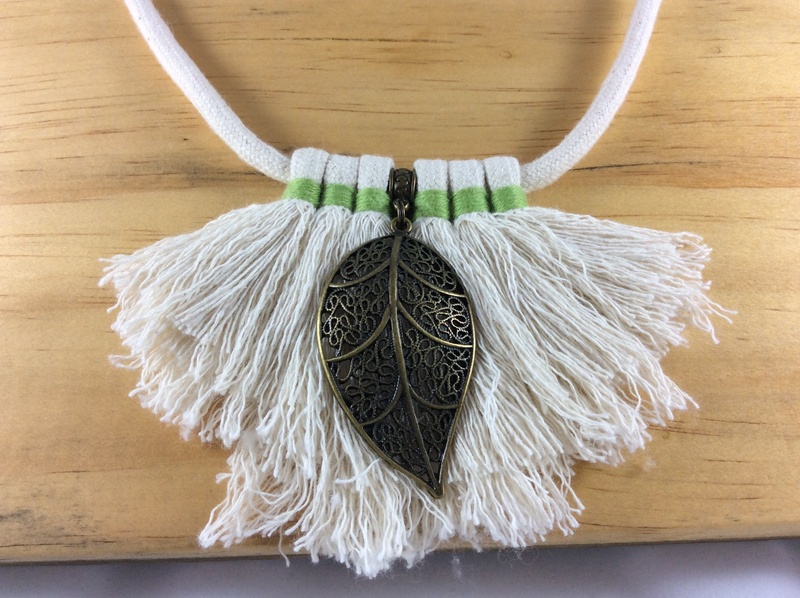 “Syx Frayed Lines” are a simple yet stylish collection of South Australian handmade necklaces for the formal or casual occasion. 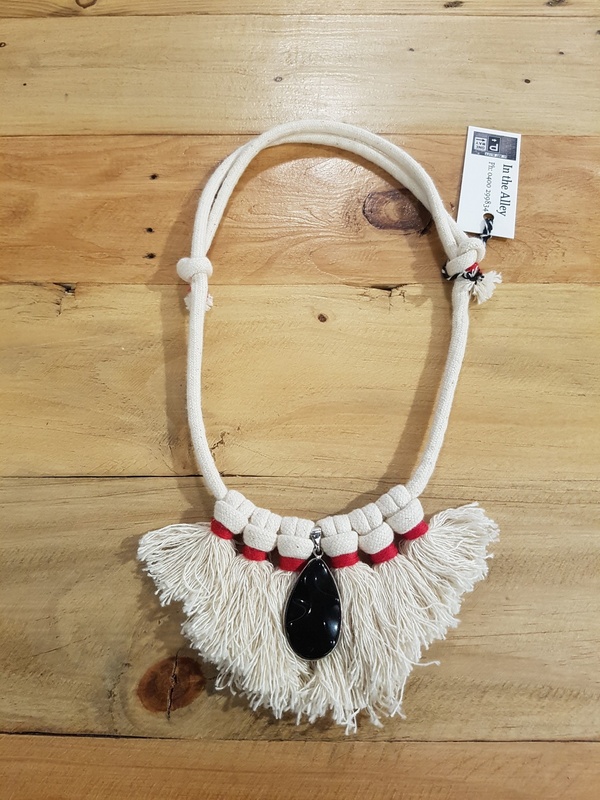 Stew and Malea’s passion for food and wine of South Australia, is replicated in the colours of the necklaces - the South Australian coastal regions, changing seasons, famous vineyards and our beautiful Adelaide Hills. 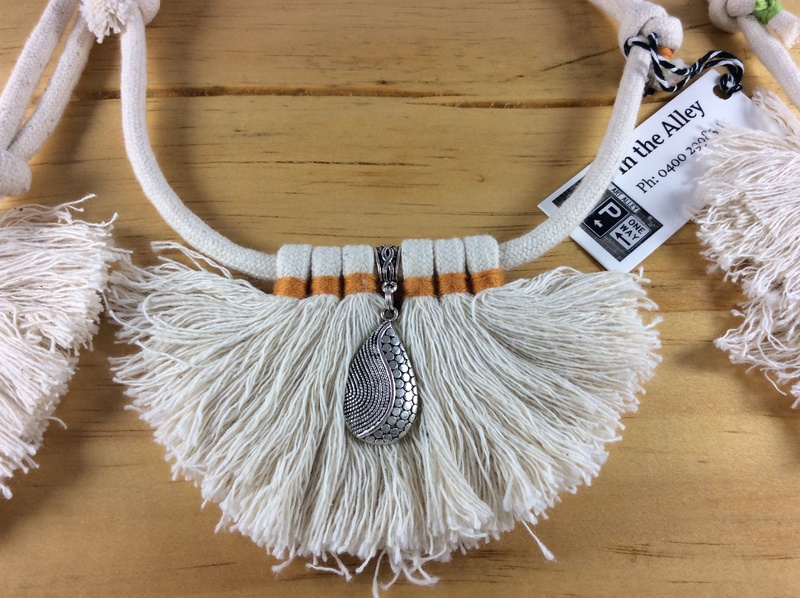 By the way, In the Alley comes from Stew’s long time school nickname of Alley! 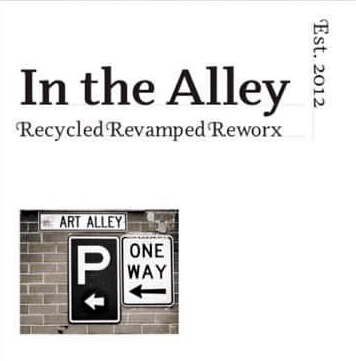 Often the inspiration for making has come from inside the Alley. 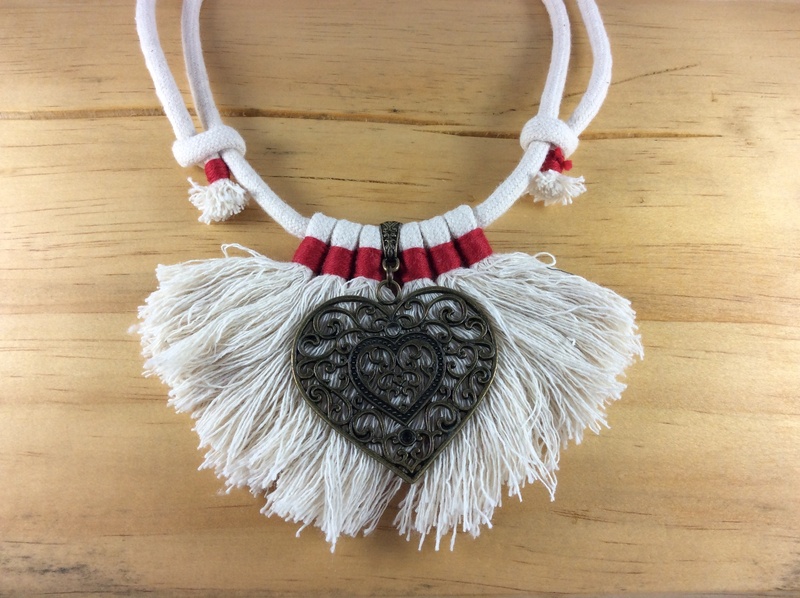 However, since Stew and Malea have shared the process of hand crafting their two worlds collided into an extraordinary team. 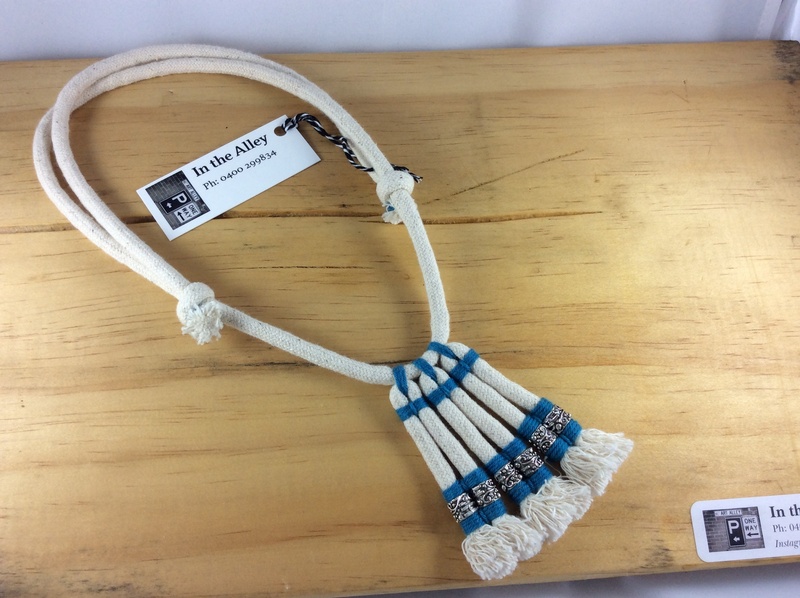 A vision of starting small, an “it is what it is” attitude that reworks and connecting with our community echoes Paul Kelly’s song "From little things, big things grow"! 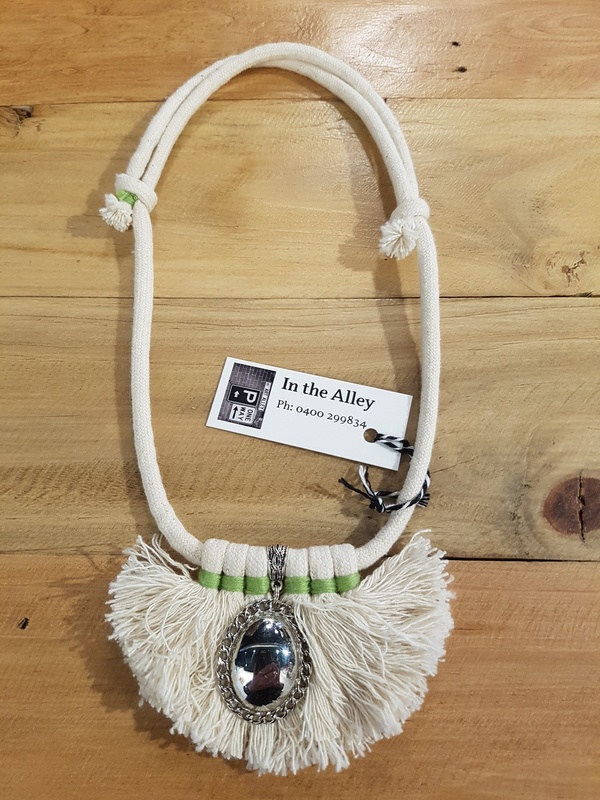 In the Alley hopes you enjoy their products as much as they enjoy making!